It’s been ages since my last post! Sorry about that! Before I run out of time here is my Pick and Mix Mani for this week! 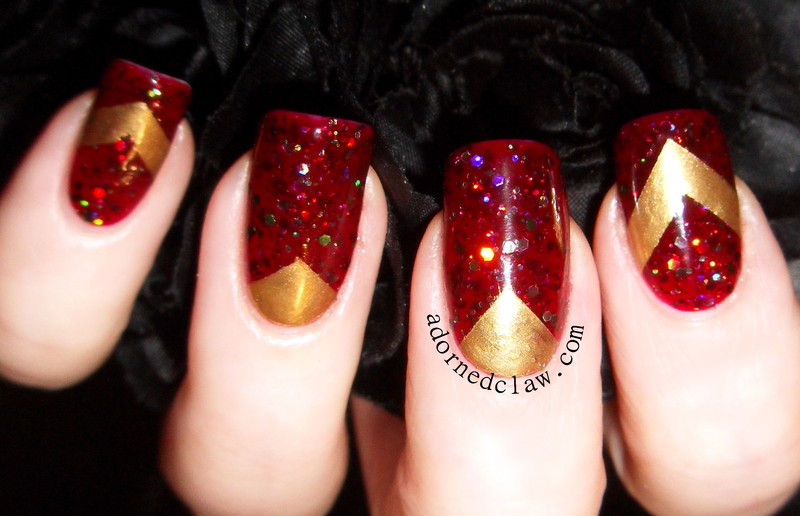 This weeks prompts are Red, Gold and Chevron. For this I used Zombie Blood from this years Halloween range from the lovely Taras Talons, It really is a glorious red jelly! The green holographic glitters are wonderful. The gold polish is from Revlon and it’s called Golden. 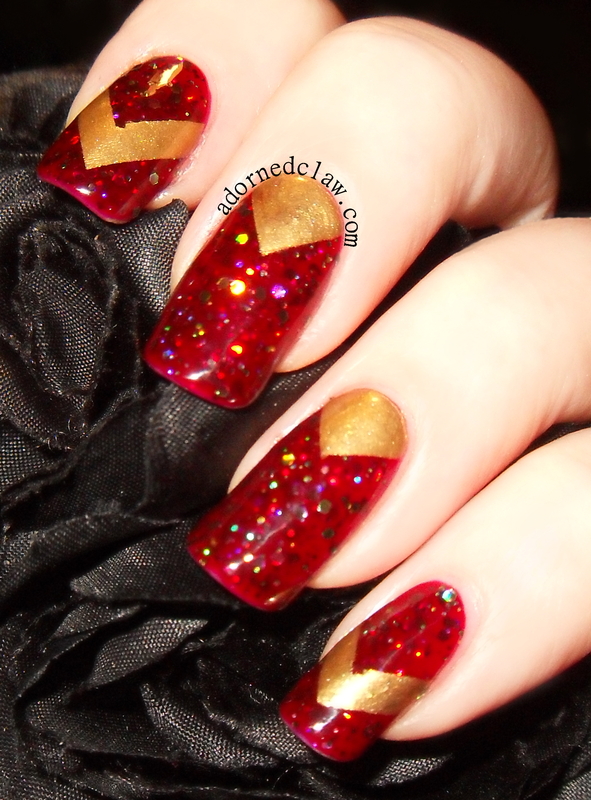 I didn’t want to add to much gold to this mani, Zombie Blood Is so lovely I didn’t want to cover it up! 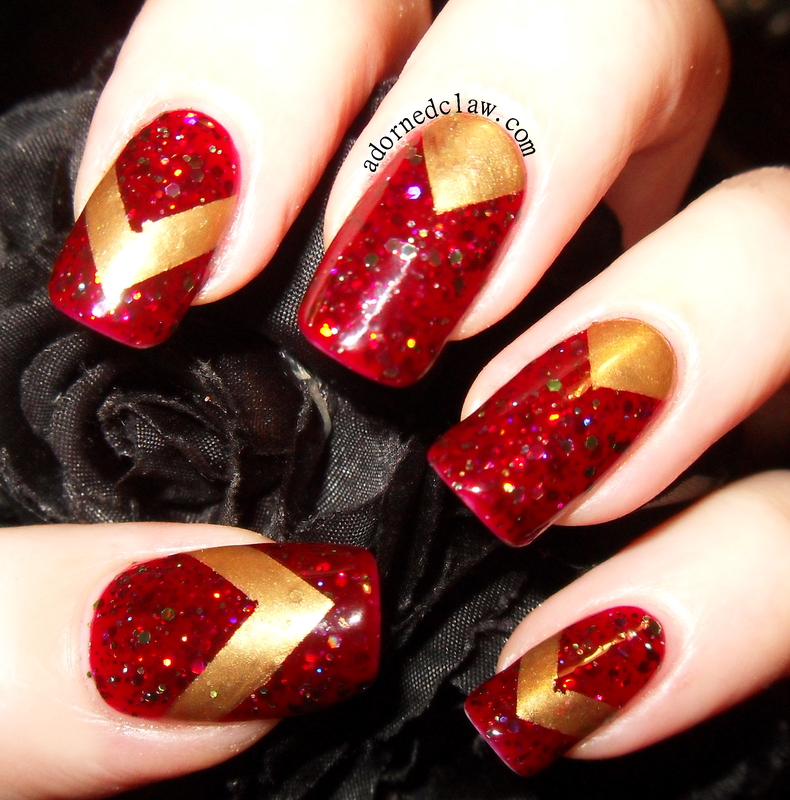 I applies three coats of the red polish then when it had dried I used striping tape to create the Chevrons and the triangle shapes and carefully added two coats of golden. 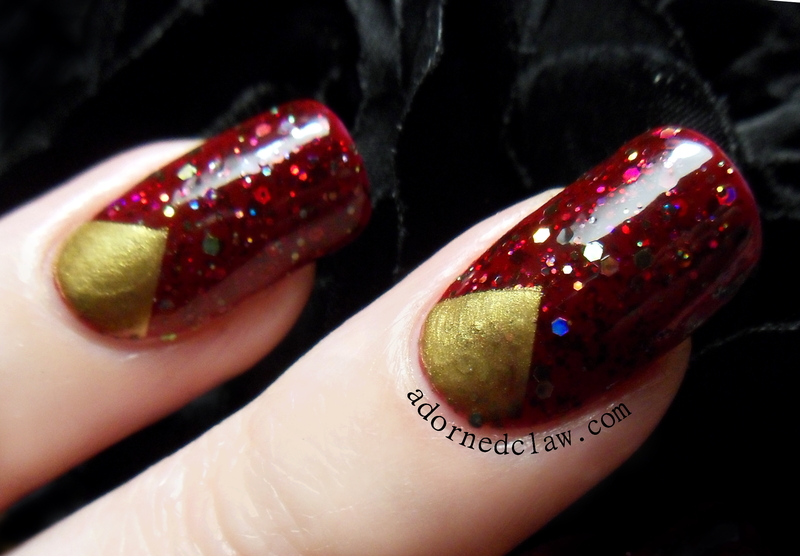 This really is such a festive look!